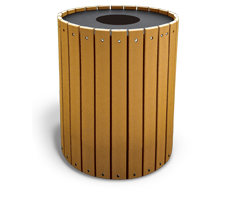 Commercial trash cans and trash receptacles from The Park Catalog are available in many sizes, shapes and materials. 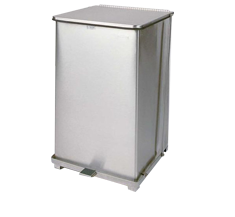 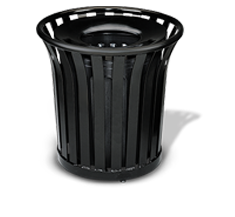 We specialize in indoor and outdoor commercial trash cans. 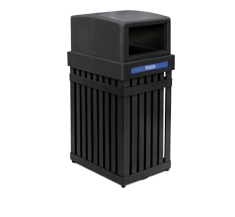 These commercial garbage cans and park trash cans are built with the best in commercial-grade materials such as steel, recycled plastic, concrete, aluminum, wood or fiberglass. 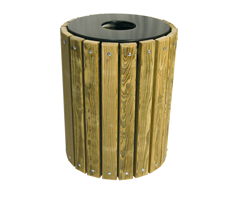 They are then covered with durable coatings that are built to withstand the elements outdoors. 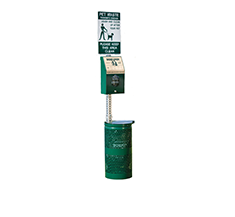 Choose from a variety of vibrant colors to match your brand or location. 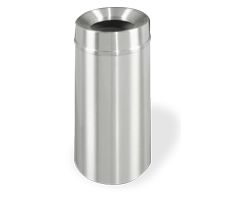 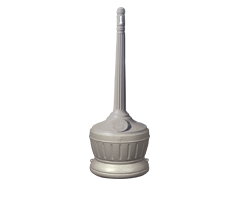 Matching cigarette receptacles are also available to keep your environment litter-free. 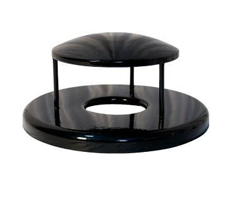 There is also a complete selection of stand ashtrays and wall-mounted ashtrays. 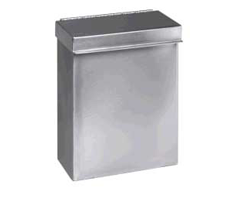 Need outdoor trash cans quickly? 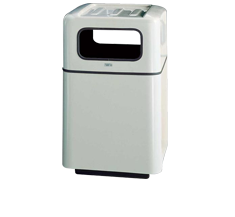 We can ship in just 3 days. 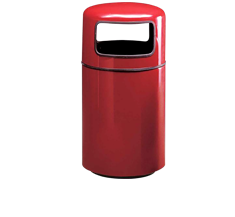 Many areas now face problems with overflowing commercial trash cans from an increase in consumer trash such as food wrappers and beverage containers.. 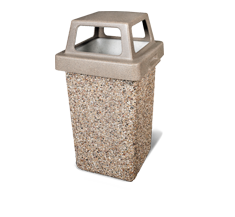 Replace them with our larger-sized commercial garbage cans. 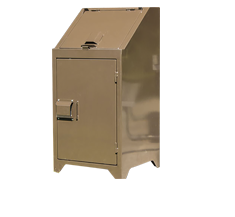 35-Gallon Economy Ash and Trash Receptacle with Dome or Pitch-In Lid.